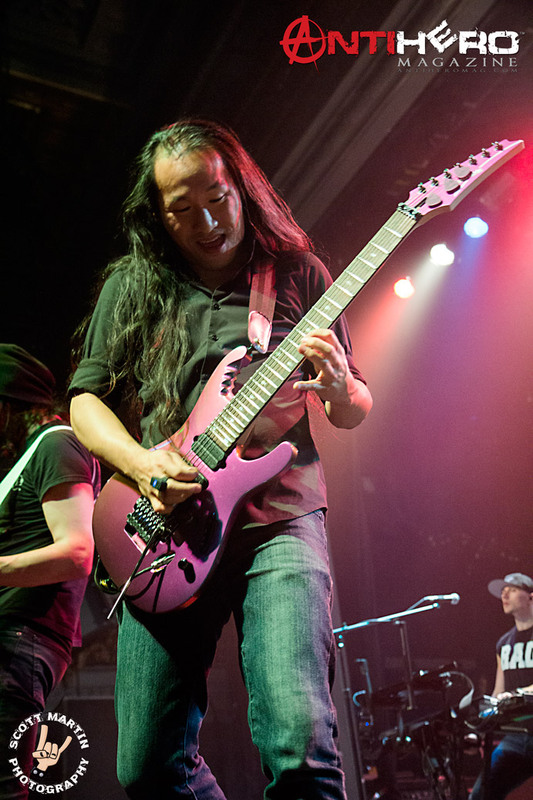 Antihero Magazine‘s Mark Dean recently had the opportunity to chat with DRAGONFORCE guitarist Herman Li about the band’s latest latest album, Killer Elite, and much more! A new greatest hits compilation, Killer Elite, has just been released. Was it difficult to select the tracks for the compilation? On what basis were tracks chosen? Or was it merely a case of clearing out the archives of things that had built up and accumulated over the years? Yeah, it took us a while to pick those songs since we have had quite a few albums out now and we pretty much like every song we have ever released. The way we did it is to combined a list which represents the band the best in terms of the past and the present. Of course, you have the fan favourites in there along with some songs people are less familiar with but that we really like. Also, some songs we know need to be in the compilation from the fan feedback we get during so many world tours. Most bands release their greatest hits compilation to mark something. Is it the end of an era or the beginning of a new age for the band? Most bands probably release a compilation because the record label did all of it. This is not the case with this release. Killer Elite is 100% made by the band for the fans. Looking back at the long career history of Dragonforce, was there any wrong decisions made or do you believe that everything happens for a reason? Would you have done anything differently? You can’t really play the IF game and think ‘what would have happened IF we did this or that.’ There have been a few obviously bad decisions leading to some really bad luck. I must say, however, we are still around after 6 studio albums, so we feel really lucky to be able to do what love. Certainly with more experience now, we are able to make decisions which we think are better, but who knows? Ha ha! 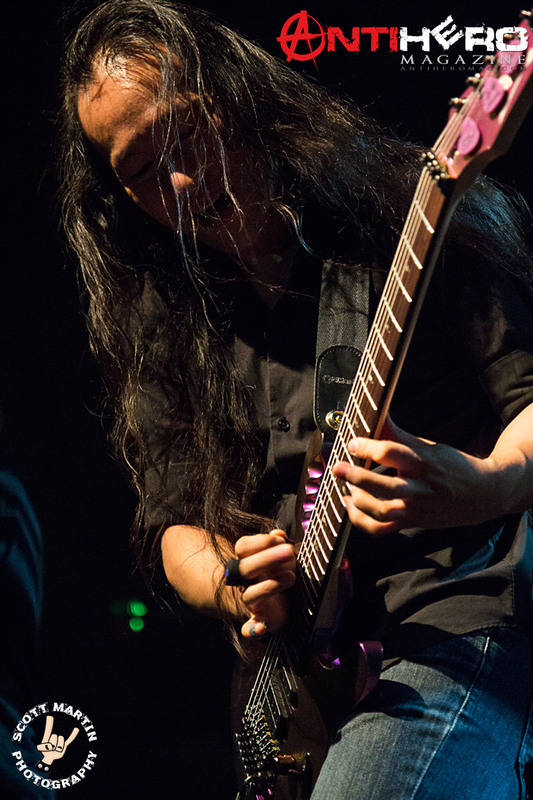 What are the particular highs and lows that standout for you personally throughout Dragonforce’s history? Can you please elaborate on each? Highs, I guess it would be doing successful world tours and seeing people getting into the music we do. We started the band originally for fun and we are still able to do it now. Being professionals is something we never thought would happen at the beginning. Not sure about what can be considered as the lows, but without them, you can’t get the highs and make yourself fight harder and improve. Let’s embrace the lows as a vehicle to take us higher. The band has experienced some personnel changes. Has this always benefited the band, or have some in hindsight proved an error or mistake? People’s lives changes, so sometimes their priority isn’t playing in a band anymore, which is totally understandable. I am still in touch with most musicians I have worked with in the past, so it hasn’t been much of a problem. It’s hard to say what is ‘better’ when it comes to music, so I wouldn’t say this member is better than the other. 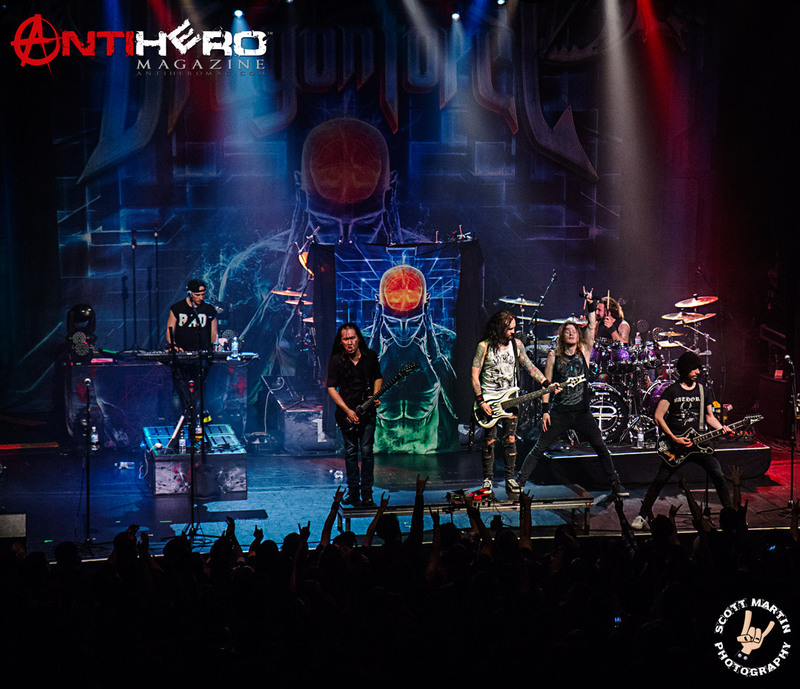 What they each bring is a different dynamic to the band which luckily has always worked for us to take Dragonforce up another level. How do you attempt to explain the enduring popularity of the band? You continue to sell albums and play sold out shows around the world. We do what we like, we don’t try to fit in with anyone else. We don’t chase a trend or scene. If you like the Dragonforce style, you can’t get it from any other band out there. I believe our unique sound and show is what keeps us successful. Do you view any other band as rivals/competitors or all just following the same musical path? I know a lot of people love seeing bands as competitors but I think it’s the stupidest thing ever. You can’t compare music that way. An art form cannot be scored like in sports where there must be a winner, and neither can record sales, etc. Just because a band is faster, heavier, or more melodic doesn’t means it’s better. It’s really what makes you tick. I think if you are playing music you love, you are a winner. Do you have a strong work ethic? Are you ever totally satisfied with your work, or do you find it difficult to say ‘I am finished,’ and walk away from a particular album or song? I am always working and almost never take any vacations. I love learning new skills and constantly trying to improve myself, so even the fun stuff I do is educating me. As a musician, your talent has been widely recognised and rewarded. Do you feel that you still have something to learn and also something to prove? Or do you prefer to point to past achievements as proof of your talents and credibility? There is always something to learn, there is no peak to the mountain. Do you listen to other musical genres and styles outside of what you do with Dragonforce? I listen to other music styles, of course, with rock and metal as the genre I love the music. Is music all-encompassing in your life or do you have any other outside interests and hobbies, pastimes -maybe sports, for example? I love martial arts; I’ve been training in Brazilian Jiu Jitsu for over 10 years. Before that I studied various other styles. I am also into high performance car driving on tracks, and I am a Porsche enthusiast. Everyone probably knows I am also into computers and videos games too, haha! You are on a dessert island…only allowed 2 albums – 1 that you have played on, and 1 that you have not. What would those two albums be, and why have you chosen those 2 in particular? I wouldn’t take anything I’ve played on; I think I would have heard them enough times by now. The other, I would probably take Dream Theater – Images and Words. You obviously have made your name as a guitarist, but outside Dragonforce who would be the other members of your perfect supergroup – vocalist, drummer, and bassist – that you could play with (living or dead musicians)? I can’t really say because personality comes with it too. The art is one thing but people dealing with each other is another. I wouldn’t want to be in a supergroup which only lasts for one album with people I don’t know well enough. Do you stay in touch with current and new musical trends? What new bands stand out for you currently that you enjoy? I never care about any musical trend happening, but if I hear something I like I will certainly check it out but I don’t have the time to continuously seek out new bands to listen to anymore. Babymetal is certainly the new stand out at the moment.